​I started my career in health and fitness in 2009 after spending my 20s working as an actor. Both careers are physical, and allow me to connect with people. Through fitness I am also able to develop a community, which I have been fortunate to do since 2015, when I fulfilled my dream and started to offer small group Align Method classes. I love helping women connect with each other and themselves. From my earliest clients, I recognized that the core and the pelvic floor are central not only to being active, but to daily life. And when you are concerned about leaking while running, jumping, coughing, or sneezing, it’s hard to focus on other fitness goals. I was introduced to Hypopressives in 2012 and became certified in 2013. 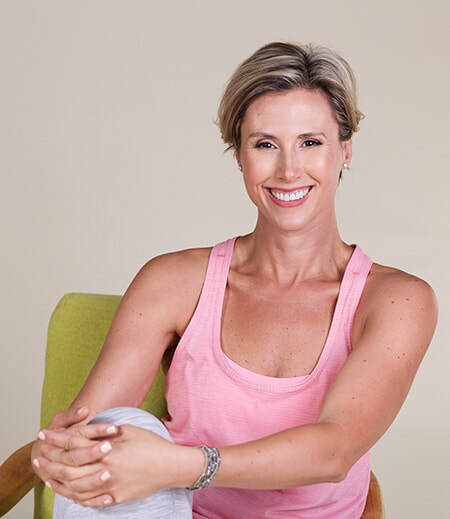 Since then I have helped my clients understand their bodies and find inner confidence by combining Hypopressives with posture and breath awareness and healthy-for-your-core-and-pelvic-floor exercise. I have used Hypopressives in my own recovery from multiple abdominal surgeries for endometriosis and giving birth twice. I firmly believe it’s never too late to strengthen your core and pelvic floor; my clients have included new mums and grandmothers, kids, and men–they all have pelvic floors!